*This is the Future is a new series of posts showcasing products or concept art of products that could be the future of tech, culture, or art. I frequent Yanko Design a site you may see a lot of the concept art coming from. 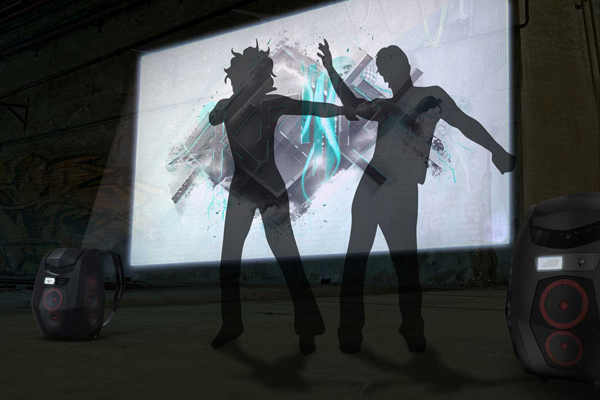 The first TISF article is about the Boompack: Brand new Ghetto Blaster. The backpack is supposed to be a retro throwback to the boomboxes carried by people in the Hip Hop community. 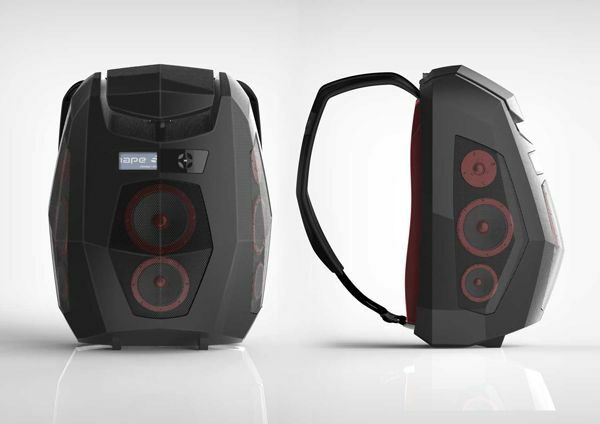 Instead of a bulky rectangle with a cassette providing the beats the Boompack has speakers integrated in the backpack with a beautiful design. A smartphone provides the beats with the added benefit of a PICO projector. The entire package manages a science fiction look with ease coming in various colors with the same shape. Obviously no street performer has ever had all this awesomeness made into one spiffy looking package. It can stand by itself displaying a cool background for the performer who can broadcast his beats on the street-corner or for a DJ who wanted to do a special event. Well I have to admit I have never seen anything like this before. A backpack you can stuff with a laptop, tablet, books, and anything else you have plus having the ability to broadcast the music you love loudly is amazing. The only drawback would be potential weight. The backpack weights 7.5 kg or 16.5lbs which is a lot. Carrying that on your back plus a laptop, tablet, a few books, and anything else you have could make it 20 to 23 pounds which if you were carrying it for say 30 minutes would hurt. Still if there was a way to make it lighter to about 14lbs (still all weights would be in theory) this would be my next. If it existed.